The What: Advanced graphics display technology specialist, Datapath Ltd, has launched the first three products in its pioneering SQX range of IP streaming and compression technologies. Two of the introductions are SQX decode technologies: ActiveSQX is a scalable and powerful PCIe card designed to decode multiple streaming videos using an on-board processor; while SoftSQX is a low-cost CPU decoding engine designed for systems that may require the management of a small number of compressed IP streams. The third product introduced to the range is Wall Control SQX, an SQX compatible software application for controlling Vision Capture, IP-Camera and third-party application windows on Datapath video wall controller systems. The Why: "In today’s world, it’s imperative that video can be handled in many different ways: the transportation of video from one location to another has become critical in delivering the services required for professional AV projects,” the company stated in a release. "From realtime remote access of surveillance cameras, or the distribution of AV content, to the recording and storing of video for later retrieval, the market demands technologies that meet these requirements." The Strategy: Datapath has created its SQX range of products to offer new possibilities for video delivery, transmission and storage while maintaining the ability to scale-up projects. Put simply, SQX technologies provide functionality to support implementation ranging from single streams to fully inclusive systems that accommodate a wide array of inputs and outputs streaming from a variety of sources to a number of destinations. 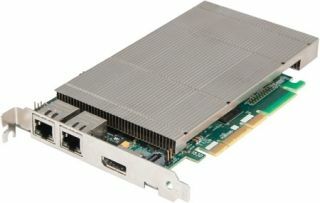 Key Features: Datapath’s new ActiveSQX is a PCIe card designed to decode multiple streaming videos with its integral processor. Importantly, as a scalable solution, it can work side-by-side with other ActiveSQX cards installed in the same system to support the management of entire CCTV systems or connect to online media libraries, streaming and decoding video for accelerated video wall display. The card provides a large number of simultaneous decodes, all available within a single Windows desktop display surface. Decoded video can be scaled to display on multiple screens, across screen boundaries, tiled, overlaid and moved anywhere at any time without restriction. ActiveSQX is capable of simultaneously decoding and transferring up to 1.2 GBps of video data, equivalent to 6 x 1080p 60fps streams, or 12 x at 30fps. Additionally each Active SQX card can decode 50+ D1 streams. The second introduction, SoftSQX, uses the advanced capabilities of the latest system CPUs to decode within the Datapath SQX framework even when no accelerated hardware resources are available. In short, SoftSQX is a low cost or rollover decoding engine designed for new and existing systems that may require the management of a number of compressed streams. When using an ActiveSQX card, system resources such as the processor are not used. However, SoftSQX can use these resources to decode IP streams without requiring any additional configuration. This provides additional capabilities to make full use of the technology available, or to cater for times of high load. With SoftSQX, users can typically decode an incoming bandwidth equivalent to 12x 1080p 30 fps streams. Decoded video can be then transferred at full Gen 2 PCI Express speed directly to a Datapath ImageDP4 graphics card for accelerated display on to a video wall. SoftSQX uses the same API as ActiveSQX hardware. When both ActiveSQX and SoftSQX are installed in a system, the API chooses which product to use based on the availability of system resources. ActiveSQX hardware is always the default preference, however, if the card is fully utilised, the third new Datapath SQX introduction, Wall Control SQX, will roll over to SoftSQX to ensure maximum flexibility and system availability is maintained. Wall Control SQX software is an easy-to-use interface that automatically provides users fast access to vision input capture channels, configured IP camera sources and applications. It delivers a graphical representation of the data wall and a toolbar through which all available sources and applications can be manipulated. The software can be used to interactively open, move, size and position any window on either the local machine or a remote network client system. The Bonus: A Wall Control SQX installation requires no new configuration or additional knowledge on the part of the user if ActiveSQX is installed into an existing system.